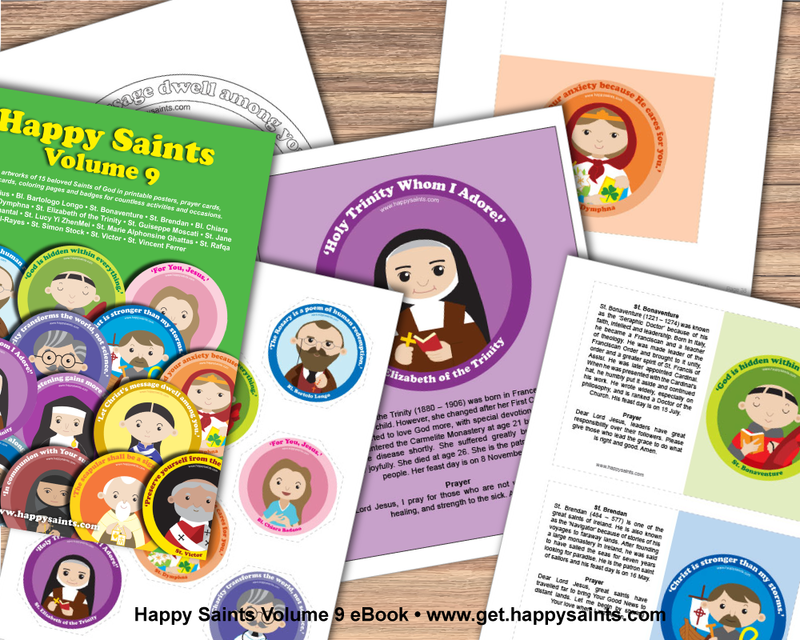 Happy Saints: Happy Saints Vol 9 eBook - 20% off until end of this week only! Happy Saints Vol 9 eBook - 20% off until end of this week only! 20% off until end of this week only! New HAPPY SAINTS VOLUME 9 EBOOK featuring St. Brendan, St. Simon Stock, St. Vincent Ferrer, St. Jane Chantal, Bl. Chiara Badano and more!